Have you just been elected to the Order of the Arrow and you’re not sure if it’s right for you? Maybe you have an idea of what the OA is all about but don’t know what our local chapter is doing? Or maybe you were elected years ago and just want to get more active. 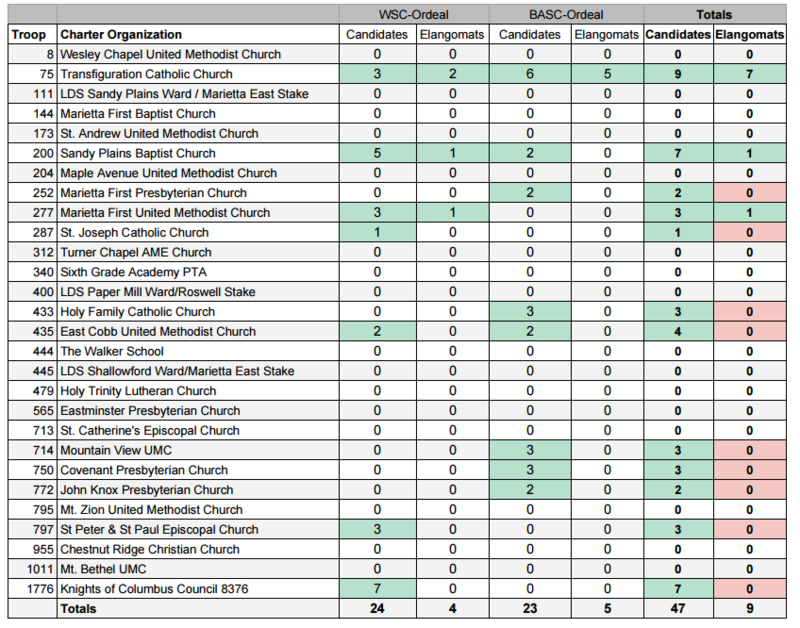 No matter whether you’re a new or old candidate, you are more than welcome at any of our events and I would encourage you to come out to some of our Chapter Meetings, held the first Thursday of the month at Maple Avenue United Methodist Church during District Round Table. In the meantime, check out what the Chapter and Lodge have been up to in just the first few months of the year in the video below! Or, for more pictures, come visit our Scrapbook Page to see pictures from specific outings. Time to complete the Brotherhood Trail! Calling all Kennesaw Chapter Ordeal Members!!! Has it been at least 10 months since you went through your induction weekend with the Egwa Tawa Dee Lodge? If so it is time to take the next step to engage with your Chapter & Lodge and take your next step in becoming a Brotherhood member of the OA. Don’t worry, the process is much easier than the induction! We promise. You can go through the Brotherhood Trail any most Lodge events and it only take one evening to complete it. We also need all levels of members to come to Spring Gathering to help run a game for the Cub Scouts in Foothills that will be camping for Weblos Woods the same weekend at Bert Adams as the Spring Gathering. Please register with the lodge today http://www.aacegwa.org/calendar.htm to come out and support your District, Chapter, & Lodge. You can help by passing this information to your scoutmaster or troop committee and having them sign up for Unit Elections by clicking here. 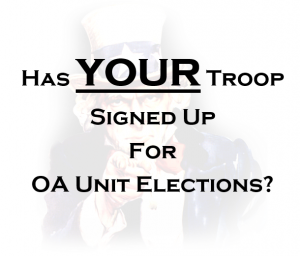 Unit Elections are just around the corner and we need everyone’s help with running quality elections. We will have troop election training on Friday, December 1st at Transfiguration Catholic Church in the Family Life Center. Troop Advisors and Troop Representatives need to attend and ScoutMasters are also invited. OA Trailblazer will be held on October 6-8th at Bert Adams. At this campout OA members serve as staff to help teach cub scouts. It is a great way to give back to those who are coming behind us and to serve as good role models for the younger scouts. The cost is $15 and all food is provided. The Lodge really needs both youth & adults to step up and help staff this event. This is a major fundraiser for the Lodge and is how we are able to continue to donate to the Atlanta Area Council’s Campership fund. OA Fall Ordeal will be held November 3rd -5th at Bert Adams. This is the last weekend of the year for candidates to go through their ordeal to become a brother. We are in need of Elangomats. Please keep in mind how appreciative you were to the Elangomat that served at your ordeal and please consider helping out. If it has been at least 10 months since your ordeal you can also earn your brotherhood at the same time as serving as an Elangomat. The cost is $15 and all food is provided. Please email info@oakennesaw.com if you are able to serve an an Elangomat. If your fellow OA members in your troop (or parents of members) are not receiving this email, please forward it to them and direct them to www.oakennesaw.com to signup for all Chapter emails. OA Fall Fellowship was this past weekend at Woodruff Scout Camp and we had a good turnout with 12 Chapter Members total in attendance. At Fellowship we had 4 members complete their Brotherhood Trail. Congratulations to our newest Brotherhood members! 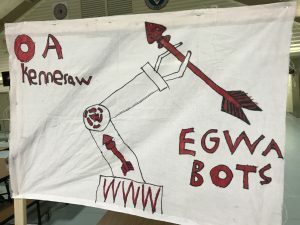 The theme for this Fellowship was “EGWA BOTS” and the chapter worked as a team to build a robot arm that they built together while also earning their Engineering Merit Badge! Fun, teamwork, and a bit of service to the council made a great event! OA Trail blazer will be held on October 6-8th at Bert Adams. At this campout OA members serve as staff to help teach cub scouts. It is a great way to give back to those who are coming behind us and to serve as good role models for the younger scouts. The cost is $15 and all food is provided. If your fellow OA members in your troop are not receiving this email, please forward it to them and direct them to www.oakennesaw.com to signup for all Chapter emails. 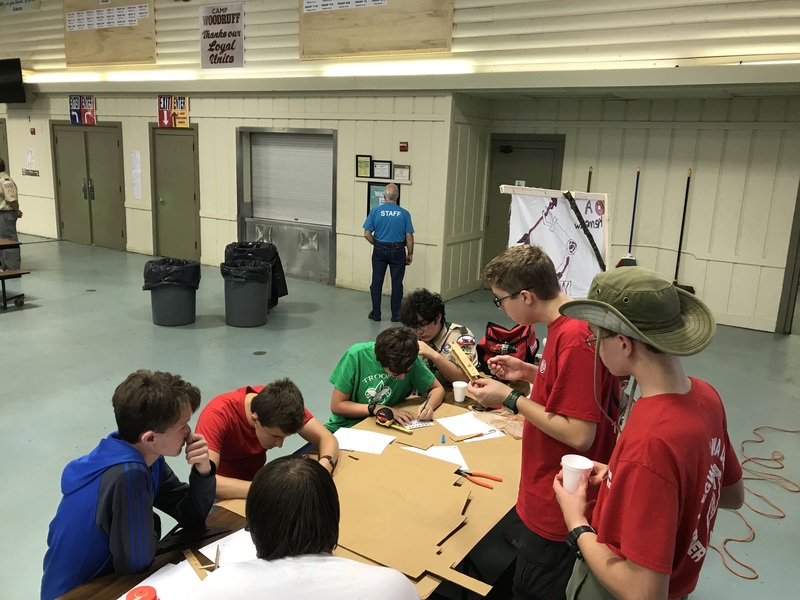 After the two spring ordeals held at Woodruff & Bert Adams Scout camps the Kennesaw Chapter has added 47 new Arrowmen to our ranks. Congratulations on your achievement! We look forward to seeing you at the Chapter Meetings and future Lodge events as well. 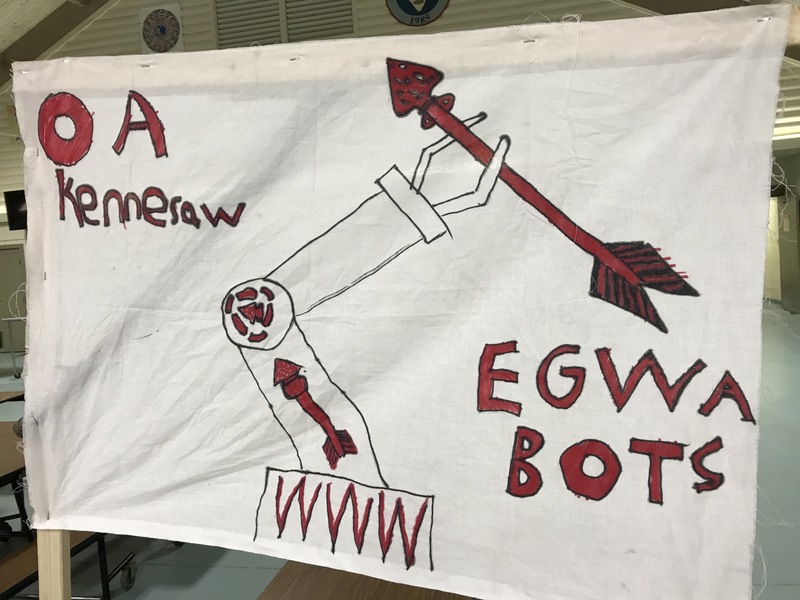 For each ordeal that the Lodge hosts, the chapters are expected to send enough current Arrowmen to serve as Elangomats to help guide your fellow scouts as they progress through the ordeal. 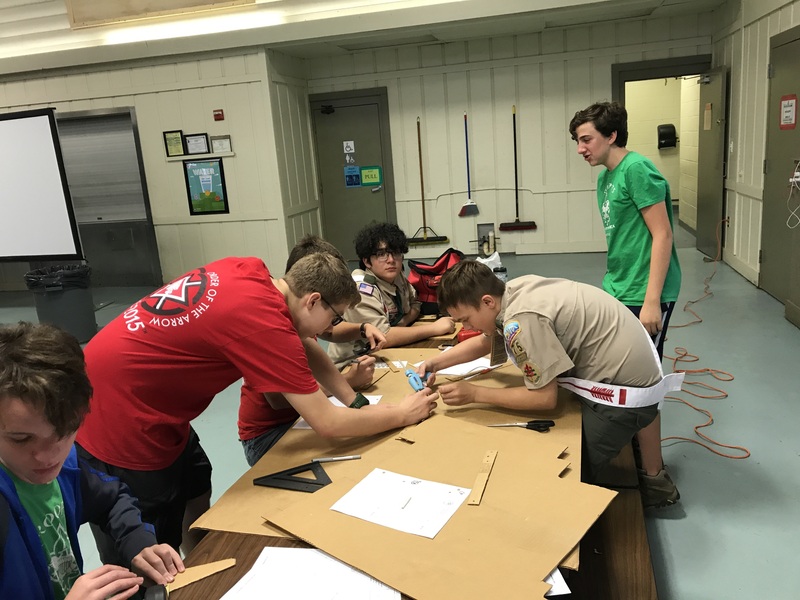 This is a Brotherhood of Cheerful Service and sadly our chapter is not sending enough scouts and other chapters have had to cover us for too long. Come register for ordeals and give back to the Lodge as there were those who helped you on your path. It is time to get some dirt on those shiny white sashes! New & Current Arrowmen: The next lodge event is the Fall Fellowship September 15-17th @ Woodruff Scout Camp. Registration deadline is September 4th Registration. If you have not completed your Brotherhood Trail and it has been at least 10 months since your Ordeal you should be able to complete Brotherhood at this event. There will not be a July Chapter Meeting. We will see everyone at the August 3rd Meeting.